An out-of-the-Box thinking on a Budget Day !!! With growing number of use cases beyond currency, now they are being identified everywhere as Digital Tokens and Crypto-Tokens. there is a clear need for capacity building in this area amongst financial institutions, industry bodies, regulators and compliance professionals. Can Digital Currency be treated as Money? Money as we understand in Economics 101 is anything that serves three basic purposes – as a medium of exchange, as a store of value and as a unit of account. If digital currency is to be considered as money, it should be examined whether it meets all the three requirements. Can Digital Currencies be considered as Medium of Exchange? Bitcoin Community celebrates the Bitcoin Pizza Day on May 22. This was the day when the first ever transaction of Bitcoin took place in 2010. On that day, 1000 BTC were used to purchase two pizzas by a programmer in US. Since then, the acceptance of Bitcoins as a medium of exchange increased multiple times. to simply send and receive bitcoins from students, friends or family members. Greater and further use of digital currencies as means of payment however depends upon the legal provisions of any country. For instance, in 2017, Japan officially recognised digital currency payments as legal under its Payment Services Act. Similarly, Germany considers digital currencies as legal tender for tax and trading purposes. On the other hand, there are several central banks (such as in Thailand or India) which have issued specific guidelines notifying the public that digital currency payments are not legal tender. Of course, it does not mean that holding them becomes illegal – but digital currencies in such countries are not recognized as a legal medium of exchange for payment purposes. Can Digital Currencies be considered as Store of Value? Important features for anything to be considered as a store of value are – scarcity, price stability and durability. Digital currencies, are initially considered as scarce as the first digital currency Bitcoin has a limited supply of 21 million by virtue of its programming code. However, the supply has increased multiple times because of the development of alternative currencies other than bitcoin such as Litecoin or Ethereum. According to one estimate, there are around 1565 digital currency variants as on April 10, 2018. Over the past five years, the daily standard deviation of Bitcoin was ten times that of pound sterling. The average volatility of the top ten digital currencies by market capitalisation was more than 25 times that of the US equities market in 2017. If your bitcoins are stolen, you can’t get them back. If you lose the private key to your Bitcoin address, you’ve lost your bitcoins. The blockchain could be hacked or suffer a catastrophic failure. So, given the growing supply of digital currencies, volatility in their prices and the fact that they are still not fully durable – the use of digital currencies as store of value can still be considered as a work-in-progress. Can digital currencies be considered as a Unit of account? it would take some more time for digital currencies to be considered as a Unit of account. Then what is the innovation all about? If digital currencies have still a lot more time to catch up to realize their aspiration of replacing fiat currencies, then what is this fintech innovation all about? Self-executable smart contracts are possible if the technology is integrated with internet-of-things. What happens if a ledger is accessible by public at large? Such a distributed ledger technology can be pretty much useful in many ways such as – for maintenance of land registry which records the transfer of ownership of land between people. Dubai Land Department officially announced that is going to put its entire land registry records on Block-chain technology and link it with Dubai Water & Electricity authorities for efficient payment of government bills. The international aid agency Dorcas announced that it was able to successfully test a block-chain technology proof-of-concept called Disberse. Through this, it is possible to maintain traceability of humanitarian aid given by Dorcas from Netherlands to its Albenia country office. This success is now being replicated by the international aid agency network, which includes government agencies such as the UK government. What happens if the centralized intermediary is replaced by consensus protocols? Proof of concepts for these projects are developed using different distributed ledger technology platforms such as Etherum, JP Morgan’s Quorum, IBM Hyper Ledger Fabric and R3 Corda. Such combination helps simultaneous execution of contractual obligations with instantaneous monetary payments. For instance, in Kenya, the combination was proven successful for payment of affordable solar energy bills with mKopa product. Kopa means “to borrow” in Swahili. 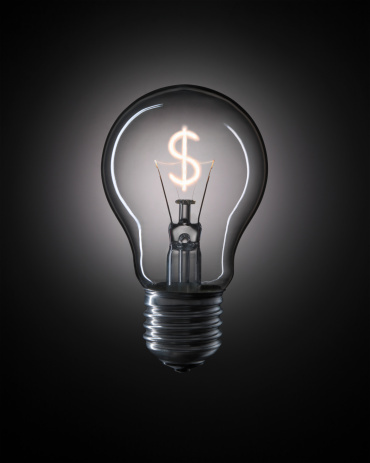 Each solar energy component the company sells is in effect a loan of about $165. Clients pay $35 upfront and agree to make a daily payment of 45¢ for a year, after which the system is theirs. The kits come with a control box containing the battery and a SIM card that can communicate with M-Kopa headquarters in Nairobi. When a customer has made a payment via mobile phone, the SIM card sends a signal to activate the battery, which is powered by the panels. That’s how the block-chain technology can facilitate affordable electricity through integration of solar power, internet-of-things and block-chain technology. Why are regulators so sceptical? How are digital currencies facilitating financial crime? As digital currencies promote anonymity, it is favoured by criminals for their use as medium of exchange. A first large-scale crackdown of this happened in October 2013 when the dark-net operated criminal syndicate website called New Silk Road was shut down by US Federal Bureau of Investigation. The website used to accept bitcoins as a compensation for all organized crime activities facilitated through its website – like drug trafficking and murder. Since then, four primary areas of criminal activity were identified for potential misuse of cryptocurrency: tax evasion, money laundering, contraband transactions, and extortion. In fact, Bitcoin has become the popular payment method for ransomware over the last two years, WannaCry, the biggest ransomware event, for example, hit hundreds of thousands of PCs around the globe, encrypting files and demanding a payment of $300 in bitcoin for the safe return of what was stored on the machine. How are digital currencies facilitating financial misconduct? Apart from facilitating financial crime, digital currencies are also known for financial misconduct in cyberspace. Recently, in India, 3.4 million Dollars’ worth of coins were reported to have been stolen by the bitcoin exchange Coinsecure. These instances of financial misconduct represent Greesham Law in motion – which says that bad money obtained through unauthorized modes (like in this case, cyber-attack) will drive away the good money (being invested in digital currencies out of legal earnings) eventually. How are digital currencies impacting financial stability? Regulators are studying the nexus between the crypto world and the financial system to assess how risks to financial stability may be transmitted. Third, through leverage when borrowers pledge digital currency as collateral to borrow and buy more digital currencies. However, regulators such as MAS assess that the current nature and scale of digital currencies activities do not pose a significant risk to financial stability. However, not all central banks/regulators share this opinion. In India and China for instance, because of regulatory guidelines, banks are now distancing themselves from digital currency operators. On a positive side, regulators such as MAS are leveraging upon Application Programming Interfaces or APIs provided by crypto-exchanges for monitoring financial stability issues. APIs can help in obtaining real-time insights on flow of fiat currencies into the digital currency market. This would help assess the financial stability concerns, if any, by the regulators which is otherwise not possible through traditional information sources. The current situation of digital currencies therefore can be likened to a Chinese Proverb – Mōzhe shítou guòhé – Let us all cross the river of digital currencies by feeling the stones underneath slowly and cautiously. However, it is explained further that the magnitude and timing of the Result is dependent upon certain variables, the operation of which is not always easily comprehensible to the Doer. It is because, alongside the Result in a more cognitive sense, the Action also generates an Impression at a normative level in the mind. Accumulation of these Impressions leads to the Character of the Doer. Character is what determines the intention of the Doer and therefore a key input in the magnitude and timing of the Result. Awareness of one’s own Character, through conscious understanding of Impressions of one’s own Actions, requires training and that’s what Yoga aims to achieve. Since this Yoga is a path of training to understand the input and output process of Action, or Karma, it is said to be Karma Yoga. After listening to this explanation of Karma Yoga, I attempted to paraphrase it in the terminology of Computing analytics. In the online marketplace, consider purchasing a book as Action. The cognitive Result is the delivery of the book. But alongside this cognitive Result, the Action of purchasing also leads to a normative step of digital footprint in terms of certain variables captured by the software one used to purchase the book. The normative data points could be – date of purchase, sequence of books browsed before completing this purchase, location from where purchase happened, genre of the book, reviews, and several other data points one may not even know of. These digital footprints are in a sense Impressions that our purchasing Action has generated in the computer software. Apart from receiving the book, these footprints are fed to computer algorithm. Successive book purchases using the same software helps the software understand your pattern (or in a way it understands your Character) through analytics generated from these footprints. After a while, software starts recommending a book that you might end up in purchasing. We may think that we stumbled upon that book through our research, but unknowing to us, we are shown this recommendation through back-end computing analytics. To keep ourselves away from such unknowing influence of the digital footprints, one needs to have an awareness of the way these works and how they can be managed. This is partially possible in computer software through Settings Control – switching off the location, not allowing permissions of data to be used for analytics, erasing the history – some of which are permitted and some of which are not. Making ourselves aware of the settings control helps us understanding the reason as to why we end up reading a book of a genre always. This helps in understanding why we develop certain types of thoughts (generated through reading such books) which influence our actions. These setting controls at more mechanical level, and the awareness of how these operate at a sub-conscious level, requires a trained computer professional mindset. A great lesson indeed. In Computing terms, taking charge of Settings Control to take charge of keeping ourselves away from the influence of digital footprints. In the Karma Yoga context – Settings Control thus represents the development of our ability to be aware of our actions, their impressions, their accumulation into character, its influence on action and thereby its bearing on result. This could thereby facilitate even remotely in a predictable understanding of link between Result and Action. Translated by her, it means that the supreme reality always remains real and the materialistic unreality will always remain unreal. Real can never be unreal and unreal can never be real. To help the audience understand this statement, she drew the example of a tree which starts its life as a seed beneath the earth, grows as a plant, becomes a tree, serves as wood, converted into a table, thrown away as scrap, recycled as pulp, used as paper and finally settles back to earth. In all its shapes and forms during this journey, the unreality is the temporary form it assumed and the reality is its existence as a being. In summary, the one that is real is the changeless characteristic of its existence and the unreality is the form and shape it takes in due course. In the context of human life, so she concluded, that the materialistic decomposition of life (into pancha boothaas) is unreal, its supreme form – the Brahman remains real. My thoughts went suddenly around my recent blog post where I discussed the Raman Effect (that occurs when a light spectrum is passed through a transient medium). The real vs. unreal dilemma explained by Swaminiji, in my understanding, is also perfectly explainable with the light as an example, and that is what I argued with her during the course of the lecture. The light (not the ones we see from generation of electricity but the natural light that brightens the day) is also, similar to the tree, starts from an unknown eternal source. Hinduism treats this eternal source as the SUN God and so do the physics to a certain limited extent agree. From a scientific point of view, the light (wave or particle – depending upon the scientific study we want to base upon our argument) from this unknown source (say as lightlessness – absence of any color) moves towards infinity (again the state of lightlessness or eternity or infinity). During the time it encounters with the atmosphere, light passes through the transient medium (which for understanding purpose – consider as a prism). In the process, it generates different wave-lengths, the reflections of which on our eyes are considered as colors (seven of them to be crude – VIBGYOR). So going back to the Gita verse, while the existence of light is reality, the shape it takes (through bulbs, or electronic gadgets) and the reflections it generates (through a spectrum of colors) is unreal – since it is temporary. And to that extent this light phenomenon, similar to the existence of life, is also somewhat linked to God (You may ponder upon why the Chariot of Sun God has seven horses exactly the number of colors in VIBGYOR). (Meaning: This light is equal to God, makes all our wishes come true. The light that removes darkness from our lives and enhances our wisdom and knowledge, we salute to such light). My further thoughts then went to my favorite topic – money and banking. Interestingly, the analogy of God and Light, from the dimensions of Reality and Unreality works even in the context of Money. Like God and Light, even the definition of Money is uncertain (to even most of the economists – see the number of books on Money that were written after the financial crisis). Money is what money does, concludes economists when questioned too much to give a precise definition of money. We may argue that the coins, currency notes, cards, electronic wallets, and the cheques that we use in our daily lives are money. But they are forms of money and not money themselves. It is indeed the reason that the Central Bank Governor also promises to pay the bearer a certain sum when the closest form of money (the currency note) is brought to the Central Bank (while all the other forms of money are exchangeable with the issuer by a currency note). It is an acknowledgement that the currency note itself is not money but it is merely a sum guaranteed by the Government and this guarantee is operationalized through the Central Bank as Money. May be this is the reason we consider Government as the Sovereign (or the unquestionable – the way we tend to label God as the Supreme). Remember the way it is hailed in the era of Kings – King is Dead, Long Live the King – which means, while the person who is momentarily called as King is Dead, the supreme force that should rule the kingdom is wished by the citizens to live long. Same way in the democratic Governments, we keep saying – of the people, by the people, and for the people. In other words, Government is nothing but the people constituting it – a philosophical version of saying – Aham Brahmasmi – I (the Citizen) am the Government. Being a Sovereign, the monetary system (like that of human life) is the creation of the Government (like that of God). This is operated through the Central Bank (like that of Maya) which results in momentary feeling of the things we hold – gold, coins, currency notes, cards, electronic wallets – as Money. In fact, like human life, which begins with God and reaches the eternity at the end, money too begins with the Government issuing its bills based on which Central Bank initiates the circulatory system of Money. Money passes through various forms and institutions and ultimately reaches government in the form of taxes or bailouts. So, whoever is in the temporary belief that he is in possession of money and is wealthy, is only taking pleasure of the Unreal, in terms of Gita. The reality is that this possession of wealth is at the mercy of the Governments to whom we gave the right to rule us and the Maya of Central Banks through which these Governments operate the monetary system. (Meaning: Money is destined to go in one of these three ways only – charity, enjoyment, and destruction. One who neither spends in charity, nor enjoys it, his is sure to go by the way of the third, i.e. destroyed). One should keep always in mind that the best use of Money, like life and light is to see it as “Pass-Through-Certificate” rather than try to treat it as permanent. If you don’t believe this soon, the God will make you realize it in His own terms – either in the form of death, day-end or demonetization. Finance Ministers from the NDA Government are known for moving away from some of the rituals associated with presenting the Union Budget. Earlier, the Budget used to be presented at 5 pm, which was essentially a continuation of the colonial-era practice (to ensure that Budget in India and the Budget in UK are presented at the same time, during the pre-independence period). It was during the previous NDA government of Atal Behari Vajpayee in 1999 when this ritual was changed. That year, the budget was presented by Yashwant Sinha at 11 am on the Budget day. PM Modi’s government also made another change by bringing the Budget ahead by a month to present it on February 1. However, there is one Budget related tradition which is still carried on by the current Finance Minister. That is posing before the journalists with a Budget Box in his hand on the day of presenting the Budget. A peek into history reveals that this ritual also has its roots in the colonial British rule in India. To understand this, one needs to understand the term “budget” etymologically. It was derived from the Old French word bougette, meaning a “leather bag”. The word originally meant a pouch or wallet, and later its contents. The usage of this Budget (aka a carrying box to be simple) in the context of Government Finances of the United Kingdom (UK) is generally traced back to 1860. It was then the Chancellor of British Exchequer William Gladstone carried his documents in a Red Box when he went to Parliament. He then presented his annual statement, by “opening the budget” and spoke for good long four and half hours. The UK Budget Box is typically a red leather-on-pine box lined with black satin, with the letters VR – for Victoria Regina – embossed on its surface. It belonged to a large family of red briefcases that have been manufactured, since the early 1800s, for British ministers by the London firm Barrow and Gale. Since 1860, the same box was used until 2010 when it was retired to be kept in the Museum owing to its frail condition. Notable exceptions to the same were by the Chancellors James Callaghan (1964–1967) and Gordon Brown (1997–2007), who had new ones commissioned in 1965 and 1997 respectively. Gladstone’s budget box was used back by Alistair Darling (2007–2010) and by George Osborne till June 2010. In India, a similar tradition goes back to independent India’s first ever budget presented by RK Shanmukham Chetty on November 26, 1947. The budget photograph shows Chetty, wearing a dark, pin-striped, three-piece suit, and carrying what looks like a leather portfolio bag. Ten years later, T T Krishnamachari poses with a slender file instead of the usual budget box. Successive Finance Ministers used different budget boxes typically procured by the Finance Ministry. It is understood that the Finance Minister is presented with the choice of three or four boxes of which he picks one depending upon the color. That’s why in India we see some of the Budget sessions where Finance Minister is even holding a black Budget Box. To conclude, the Box that carries the proposals designed to impact our future thus owes its history to the rituals carried from our historical past. Format ImagePosted on February 1, 2017 February 1, 2017 Leave a comment on An out-of-the-Box thinking on a Budget Day !!! Since the on-set of demonetization, I have been enthusiastically reading articles about the way in which behavioral economics could help in public policy decision-making. The reason is fairly simple. At the heart of demonetization, there is an enormous challenge to bring about drastic changes to transacting behavior of Indian public. And it is in this context, I chanced upon the tool called as “Nudging”. Nudging is a concept in behavioral economics and is imported from cybernetics – the term loosely used to denote gaining control of any system using technology. In its truest form, it’s a trans-disciplinary study drawing references from biology and engineering. Simply put, nudge is any aspect of choice architecture that aims at altering people’s behavior in a predictable way. The aim is to bring about change in the behavior without forbidding any options or significantly changing their economic incentives. To count as a mere nudge, the intervention must be easy and cheap to adopt. Nudges are not mandates. In the words of Richard Thaler and Cass Sunstein, “putting fruit at eye level counts as a nudge – banning junk food does not”. Now linking back this tool to the attempt of bringing about changes to transaction behavior of Indian public. On one hand, there can be regulatory attempts to impose restrictions – direct or indirect – on cash-withdrawals. But on the other hand, there can be a systematic way to influence the payment behavior by using cultural events and gifting traditions. The tradition of Hóng Bāo during the Chinese New Year is a case in point. Literally translated, Hóng Bāo is a “Red Envelope” through which the elderly people gift cash to younger ones on the eve of the Chinese New Year. The excitement around this event is so visible with several Red Packets drawing attention at any of the local stores, malls and public places during this season. The red color of the envelope symbolizes “good luck” and is a symbol to ward off evil spirits. The amount of money stuffed in the envelope usually ends with an even digit. Care is taken to ensure that the amount does not contain 4 (like 4 or 40 or 444) as the Chinese pronunciation of four is homophonous to the word death. During the Chinese New Year holiday in 2014, the local mobile instant messaging service WeChat introduced a new feature to its electronic wallet function in the mobile app. It digitized the concept of “Red Envelope” by creating virtual red envelopes of money via the wallet platform. One can load the Wallet with some random amount and send it as a New Year wish to the contacts in the phone. The system distributes the amount randomly to the contacts who keep opening the message. It’s fun to watch this during the festive season as an additional amusement to the traditional way of wishing each other. The popularity turned to be a business warfare between WeChat and its competitor Alipay which also added similar messaging service later. Analysts estimate that over 100 billion digital red envelopes would have been sent over the New Year holiday in 2017. On one hand, it’s a tradition that is made out to be more fun by adoption of technology. But at the heart of it, it has led to discouraging the use of Cash even at the eve of traditional social gifting occasions like a New Year holiday. A behavioral change was slowly introduced, without any change in economic incentives to the public. It was easy and cheap to adopt and avoid as the way public would choose to. It’s not a mandate but a psychological tuning of the peoples mind to remain contemporary in technology usage. India is a land of similar customs and traditions. It will not be a bad idea to explore how these can be technologically leveraged for promoting digital transaction behavior amongst the common public. As India celebrates its 68th Republic Day, it is usual for us to review history and remind ourselves of the significance this day holds to the nation. There are two significant events that many of us (including myself till about recently) are not aware of when talking about Republic Day. The first one is of course, all of us are aware of the fact that this day is to honour the date on which the Constitution of India came into effect on January 26, 1950 replacing the Government of India Act (1935) as the governing document of India. But that is not all. The Constitution of India was adopted by Indian Constituent Assembly on November 26, 1949 and came into effect from January 26, 1950. The effective date was chosen as January 26 because it was exactly on that day in 1930 that the Indian National Congress proclaimed the Declaration of India’s Independence (Purna Swaraj) as opposed to the Dominion status proposed by the British Empire. The other important fact is that the association of Dr. B R Ambedkar as the architect of the constitution of India is formally recognized only on this day, while for the rest of year he is recognized only for his contributions towards upliftment of Dalits (untouchables). 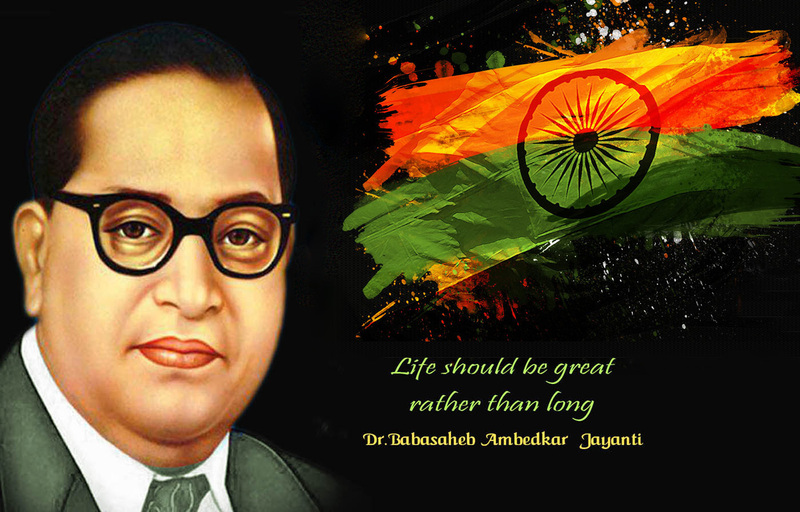 In my view, remembering Dr. B R Ambedkar only as the architect of the Republic of India’s governing document i.e., the Constitution (and as a Dalit leader) will only means celebrating his legacy partially. Unknown to many, Dr. Ambedkar is also the architect of the Reserve Bank of India’s (RBI) conceptual framework. The Book was first published in 1923. Ever since its publication it has had a great demand; so great that within a year or two the book went out of print. The demand for the book has continued, but unfortunately Dr. Ambedkar could not bring out a second edition of the book for the reason that his change-over from economics to law and politics left him no time to undertake such a task. Therefore he, devised another plan: it was to bring out an up-to-date edition of the History of Indian Currency and Banking in two volumes, of which The Problem of the Rupee forms volume one. Volume two will contain the History of Indian Currency and Banking from 1923 onwards. The official historical archives of RBI start with the developments from 1920s onwards. And if we go deep into history, one would notice that Dr. Ambedkar was the first Indian economist who was trained abroad. He was also the first political leader of India with formal training in economics. He was awarded double doctorate in economics (one from London School of Economics in 1923 and from Columbia University in 1926). It seems that during the years he spent at the Columbia University he took 29 courses in economics, 11 in history, six in sociology, five in philosophy, four in anthropology, three in politics and one each in elementary French and German, according to the Columbia website. The book, “The Problem of Rupee” was his thesis presented to the London School of Economics. We would be really doing disgrace to him if we celebrate his legacy only a leader from an untouchable community who is the architect of the Constitution of India, and do not commemorate his contributions to the establishment of Reserve Bank of India. ‘When bankers get together for dinner, they discuss art. When artists get together for dinner, they discuss money. When Central bankers get together for dinner, they could discuss more often their own banknotes as a form of art. The aftermath of the global financial crisis of 2008 saw a renewed interest in the role of monetary policy as a communication tool of central banks. Several research papers analyzed the signal and noise aspect of the central bank communication strategy while dealing with the monetary policy. While the global academia is busy in monetary policy research, the currency swap exercise (aka the demonetization) in India presented me an opportunity to peek into the less nuanced area of economics research – designing policy for monetary instruments (currency notes). The Government of India announced the currency swap exercise on November 8, 2016. The announcement called the citizens of India to exchange their old High Denomination Notes (of value of Rs. 500 and Rs. 1000) with the banks and offices of RBI in a time-bound manner. New notes of value of Rs. 2000 and Rs. 500 were introduced by the RBI with new design features. Series of articles have been written in last two months carrying out critical analysis of the design features of the new currency note. The New currency notes are of different color shades from prevalent ones (Rs. 2000 is of magenta color and Rs. 500 note is of stone-grey colour). The notes on obverse side feature a portrait of Mahatma Gandhi as well as the Ashoka Pillar Emblem, with a signature of Reserve Bank of India Governor. They have the Braille feature to assist the visually challenged in identifying the currency. The reverse side features a motif of the Mangalyaan, depicting the India’s first interplanetary space mission (for Rs. 2000 note) and of the Red Fort, depicting the India’s heritage site (for Rs. 500 note). Both the notes have the logo and a tag line of Swachh Bharat Abhiyan. The new design thus brings about elements of identity of currency note through the physical color it is projecting, the public accessibility it is providing, the national theme it is preserving and the social message it is presenting. It is interesting to note that these elements are now catching the attention of central banks across worldwide while debating the design of the respective currency notes. For instance, from a physical accessibility perspective, most nations have made their currency notes are braille compliant. The counterfeiting technology is also catching up with the latest trends with the introduction of polymer currency notes (starting with Reserve Bank of Australia and followed by other countries such as Canada, United Kingdom, New Zealand, Republic of Maldives and Nepal). However, the design element of the currency note has not been subject to rigorous academic research. Design considerations such as – What kind of emotions should currency notes evoke? Should they exude happiness or create a warm feeling? Which story should be told? In other words, what is the identity of the currency notes issued? – are not widely discussed academic topics even though from a cognitive perspective they evoke the trust factor that the currency notes intend to provide as assurance to public. It would be thus an interesting research study if one would to look at the elements that go into the design and identity of the currency note. A good starting point would be to look at the De Nederlandsche Bank NV occasional paper on this subject titled, “Designing Bank Note Identity” (2012). It introduces the reader to several design methods to support the development of an identity policy, like positioning and balance diagrams, familiarity and design freedom. The paper further describes 37 design elements, divided into currency and bank note elements. From an economics standpoint, another paper by Williams and Anderson (2007), states that the “currency design problem” could be framed as a constrained optimization problem in which the objective is to maximize the contribution of circulating currency to social welfare. 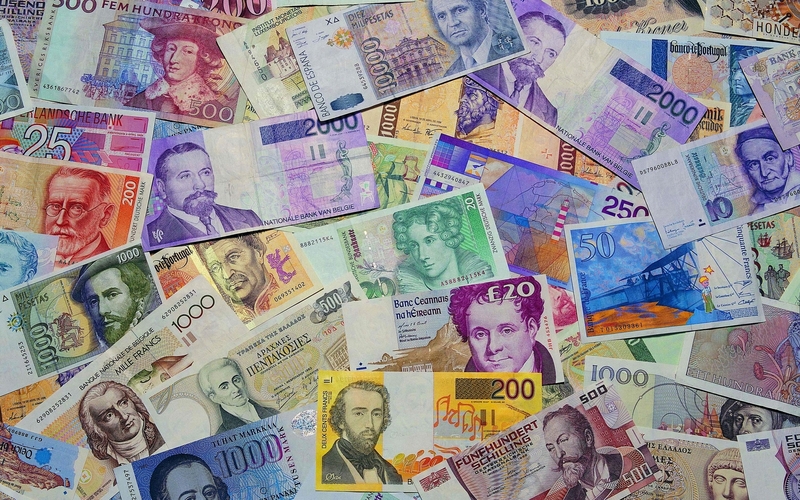 In a scenario of no constraints (both economic and technical), social welfare is maximized by producing currency notes that contain “all” desirable features, including those that deter illegal reproduction, make denomination rapid and accurate, make the currency easily used by the blind and visually impaired, and (as with machine-readable features) minimize the cost of high-volume currency handling by third-parties. However, since it is reasonable to believe that the objective functions of monetary authorities differ (for example, some might have a relatively larger fraction of their currency notes in circulation abroad, or might have a relatively more highly educated population, or might face relatively higher labor costs for currency handling), the solutions to their optimization problems—the resulting currency designs—will differ. From a public policy standpoint, the “currency design problem” encounters public debates on various aspects such as gender diversity, national achievements and aesthetics. For instance, after much public discussion and debate, UK is releasing new GBP notes with prominent public figures such as Sir Winston Churchill (the only British Prime Minister who received Nobel Prize for literature) on GBP 5 polymer note, Elizabeth Fry (social reformer) on the GBP 5 paper note, Jane Austen (celebrity author) on GBP 10 paper note, Adam Smith (father of Economics) on GBP 20 paper note and Matthew Boulton and James Watt (business partners who developed steam engine) on GBP 50 paper note. Similarly, the U.S. Treasury announced in April 2016 that Harriet Tubman, who led hundreds of slaves to freedom, will become the first woman and the first African-American to appear on the face of U.S. currency, taking the place of Andrew Jackson on the USD 20 bill. Of late, designing currency notes to make them look “cool” with little risk-taking and imagination, has become an interesting topic in social media. For instance, a thesis project (by Travis Purrington) regarding the proposed US dollar redesigned note submitted to the Basel Design Institute caught up social media attention as it chose to celebrate science as a theme instead of the Presidents. The researcher admits that it would not be accepted by the Federal Reserve considering the set process it has for redesigning the currency notes. But Norwegian Central Bank went ahead and unveiled its new currency notes in November 2016, which are for the first time in monetary history not adorned with portraits, but instead pay homage to Norway’s tight bonds with sea through pixilated image architecture. Currency note is in a way the ambassador of the country and the culture it represents. It represents the front or show piece of a nation, often referred to as the calling card or business card function. They are the tools of visual communication for the message of stability that the central bank of the country as the monetary authority intends to convey to the nation. However, adequate academic attention is yet to be received to this interesting study that cuts across topics of cognitive science, art, visual communication and national culture – apart from traditional concepts of technical authenticity and physical accessibility.